You may already be aware that we (the Trust) have signed up with Judicium to support us with Health and Safety. 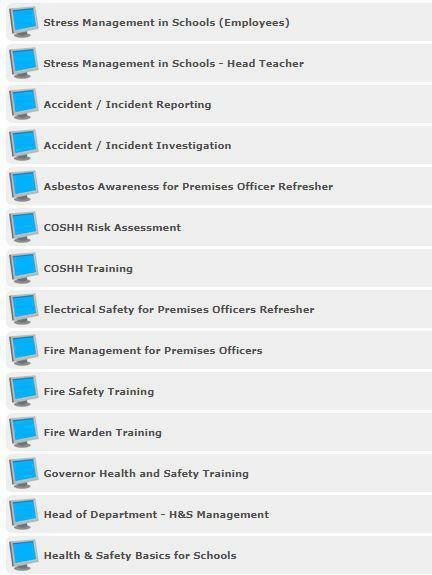 As part of this we have access to some online training courses. Please complete any that you are invited to by email. If any of the other subjects below interest you please email me and I will enrol you. 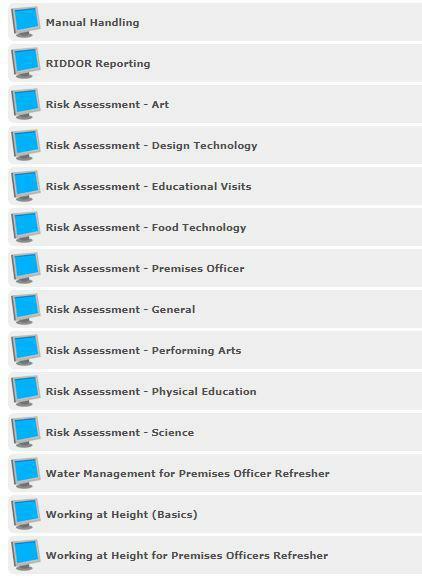 They are free (or part of the annual cost) and will go on your individual training record as well as the CPD record for the school. There is just a short multiple choice questionnaire at the end of each one in order to get the certificate.